The flu vaccine is “released” annually in October, and with it, begins our season of answering the question: “Should I get the flu vaccine?”. As naturopathic doctors, prescribing the flu vaccine, or advising against it lies outside out scope of practice. We can however help you to make an informed decision by helping you understand what the most current research demonstrates with regards to flu vaccination decision factors. We wrote a blog post on this a couple off years ago, but the research has been updated with the findings of more recent flu seasons, and here’s the what we know about the usefulness of the flu vaccine to date, and other relevant statistics, to date. Statistically, your risk of contracting the flu is approximately 0.06% (but likely higher). There are 23’000 laboratory confirmed cases of flu in Canada yearly1. The actual number of flu cases is likely higher, as many who contact the flu seek healthcare. Assuming there are 36.95 million people in Canada, that’s simple math. In the opinion of researchers, the flu vaccine isn’t particularly effective, but you be the judge. These numbers are the most recent I could find, were from Cochrane’s 2018 February review of flu vaccine research. Cochrane is a highly-respected organization that conducts research reviews (essentially gathering all the research available on a topic, removing biased or poor-quality studies, and using sophisticated mathematical tools to distil all the research findings into a “final word”). 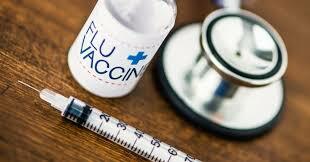 Flu vaccination reduces rates of hospitalization and absenteeism modestly. The flu vaccine may have risks that are not well understood. We can’t make this decision for you, but are fairly comfortable advising that if you are concerned about contracting the flu, you need to do more than only flu vaccination. Ministry of Health and Long-Term Care. 2018/2019 Universal Influenza Immunization Program: Health Care Provider Q & A: General information [Internet]. [Cited 2018 Nov 1]. Available at: http://www.health.gov.on.ca/en/pro/programs/publichealth/flu/uiip/docs/flu_uiip_HCP_QA_2018-19.pdf. Demicheli V, Jefferson T, Ferroni E, Rivetti A, Di Pietrantonj C.
Vaccines for preventing influenza in healthy adults. Cochrane Database of Systematic Reviews [Internet]. 2018 Feb 1 [cited 2018 Nov 1]. Available at: https://www.cochranelibrary.com/cdsr/doi/10.1002/14651858.CD001269.pub6/abstract. Jefferson T, Rivetti A, Di Pietrantonj C, Demicheli V.
Vaccines for preventing influenza in healthy children. Cochrane Database of Systematic Reviews [Internet]. 2018 Feb 1 [cited 2018 Nov 1]. Available at: https://www.cochranelibrary.com/cdsr/doi/10.1002/14651858.CD001269.pub6/abstract. Demicheli V, Jefferson T, Di Pietrantonj C, Ferroni E, Thorning S, Thomas RE, Rivetti A. Vaccines for preventing influenza in the elderly. Cochrane Database of Systematic Reviews [Internet]. 2018 Feb 1 [cited 2018 Nov 1]. Available at: https://www.cochranelibrary.com/cdsr/doi/10.1002/14651858.CD001269.pub6/abstract. Cunningham AS. Official doubletalk hides serious problems with flu shot safety and effectiveness [Internet]. BMJ. 2018 Jan 9 [cited 2018 Nov 1]. Available at: https://www.bmj.com/content/360/bmj.k15/rapid-responses.